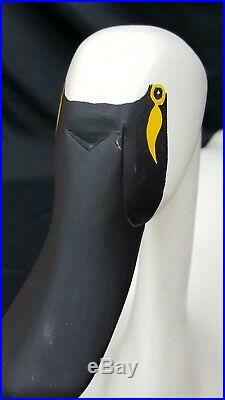 This is a Very Large Hand Carved Solid Wood White Swan Decoy by Capt. Made in 2004 by Captain Harry Jobes of Harve De Grace, Maryland. He and his family do have a web site to view more information. 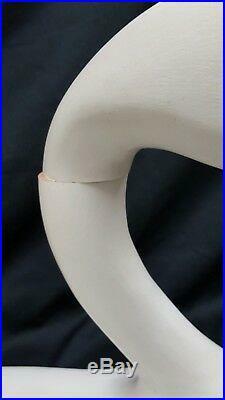 A special feature to this swan is that it has a rotating upper neck / head which turns almost 360 degrees and pose-able. Minor blemishes are noted with three very small chips. 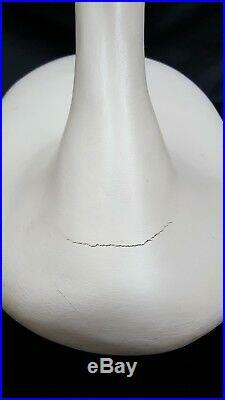 The bottom flat does have a structure / design stress crack all the way across the bottom. Measures 30" inches long by 11" inches wide and 16 inches tall and weighs 11 pounds without packaging. Governor's Antiques and Architectural Salvage. Has been in business for over 45 years. We have over 6 million items in inventory within 7 acres of property. One of central Virginia's best kept secrets, we are right outside of Richmond in Mechanicsville VA.
Find us on our website, Etsy, Chairish, Facebook and more. We appreciate the opportunity to earn your business. 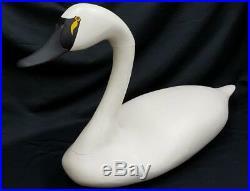 The item "Very Large Hand Carved Solid Wood White Swan Decoy by Capt. Harry Jobes" is in sale since Friday, January 11, 2019. This item is in the category "Sporting Goods\Hunting\Vintage Hunting\Duck Decoys". The seller is "governor11" and is located in Mechanicsville, Virginia. This item can be shipped to United States.